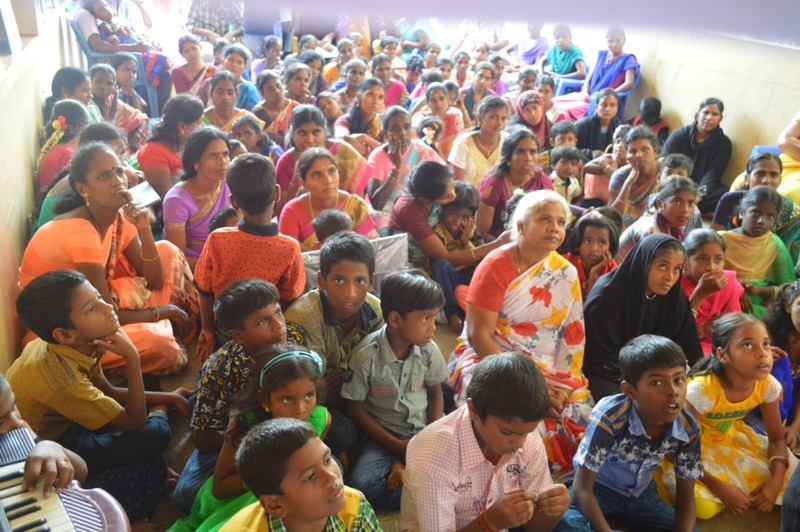 Thanks for making this Diwali special to 206 parentless, single-parented kids and financially poor widows. Through Team Everest ‘Diwali for All’ initiative, we bought new dresses for all of them through your donations..
We gave tokens to all of them and they purchased the dresses of their choice from the shop we mentioned. Later, we made the payment to the vendor directly. We raised Rs 1 Lakh through donations from volunteers for this initiative. Thank to all of them who made a contribution!! 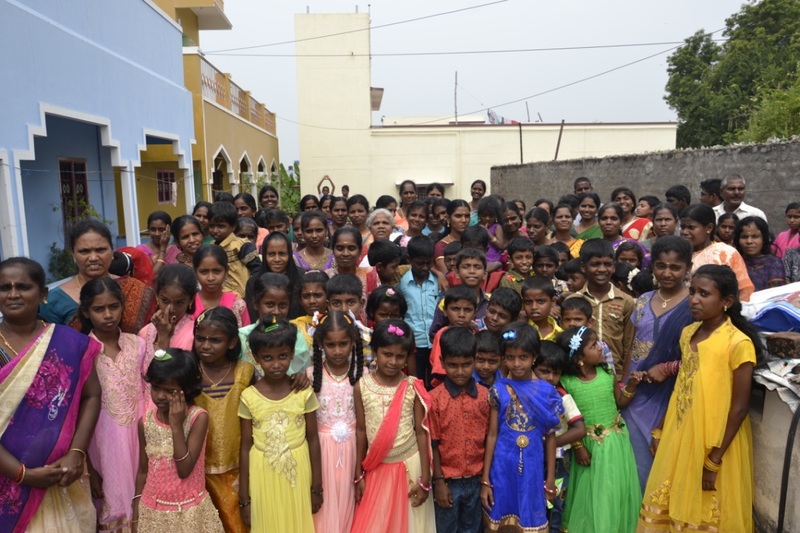 Kids and Parents who came for Diwali Celebration event with their new dresses!! Mr.Sivakumar with his 3 daughters. The kids lost her mother because of cancer. Pooja, the eldest of all from 9th std takes care of cooking in home. 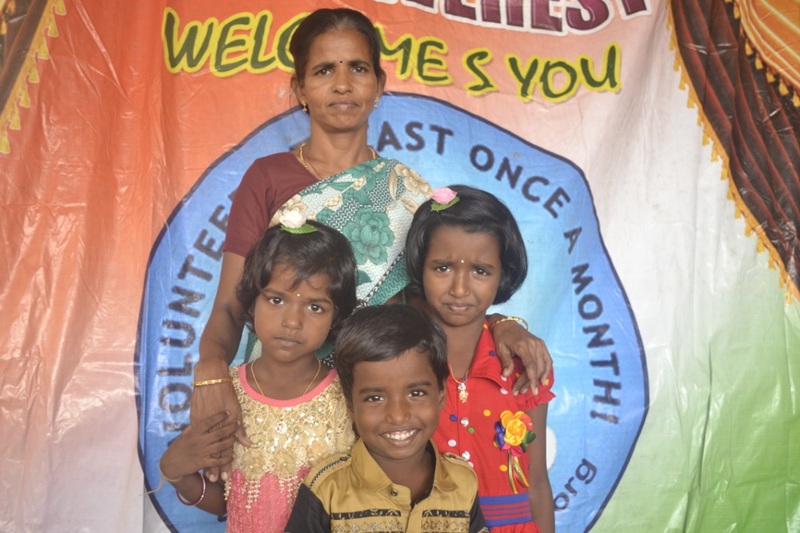 All 3 kids are sponsored by Team Everest for their education through our Smile 100 scholarship program. Amutha Aunty sells milk on the roads. She lost her husband many years back. Diwali is the only time where her kids get new dresses. Subashini and Yamini from UKG lost their mother at a very young age. It is their father who take care of these angels. The kids father passed away and mother is differently abled. The grandmother takes care of the kids. 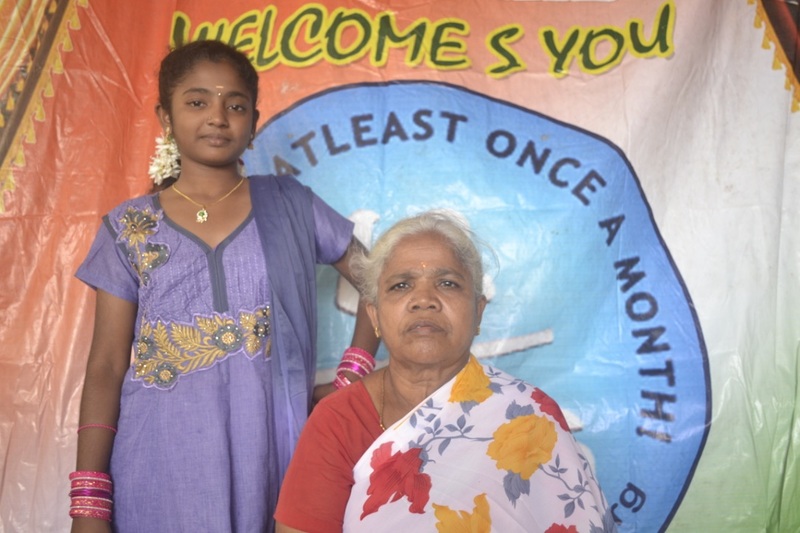 Jayashree lost both her parents and it is her grandmother who takes care of Jayashree. Her grandmother earns Rs 50 per day by working as a daily wage. 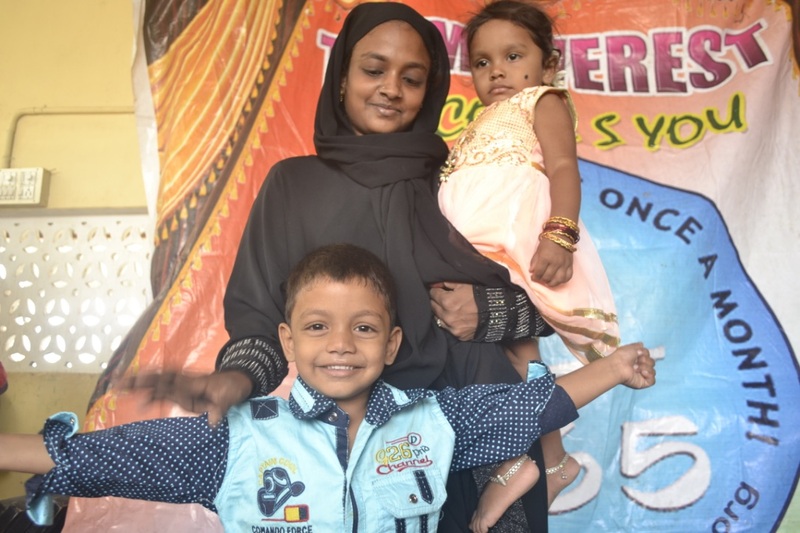 Suganya and Karthikeyan lost their mother in a fire accident. Their father committed suicide. Both the kids are taken care by their grandmother. Anwar Basha of UKG lost his father at young age. Her young mother takes care of him and her sister. We ended the Diwali celebration with lunch for all students and parents. We also distributed lunch to homeless people in the town on that day! If you want to sponsor partially or fully, monthly or early for the education of these kids, mail to info@teameverestindia.org or whatsapp to +91 89399 12365. A 2 day program for school students in a corporate!